If you’re new to Chef, this is the perfect book to get you started. Explore new avenues in infrastructure automation, deployment and orchestration with Chef. For enterprises large and small, Chef is the go-to configuration management solution. With this practical guide, you’ll quickly learn the basics of Chef and how to write Chef automation code. This book is written for system administrators, developers and anyone else interested in ensuring application deployments go smoothly. Some prior experience running scripts and applications on the command line is assumed, but no programming experience is required to follow the hands-on exercises in the book. Gain a firm understanding of Chef: Learn all the concepts necessary to use Chef successfully. Set up your workstation and workflow: Install Chef without headaches. 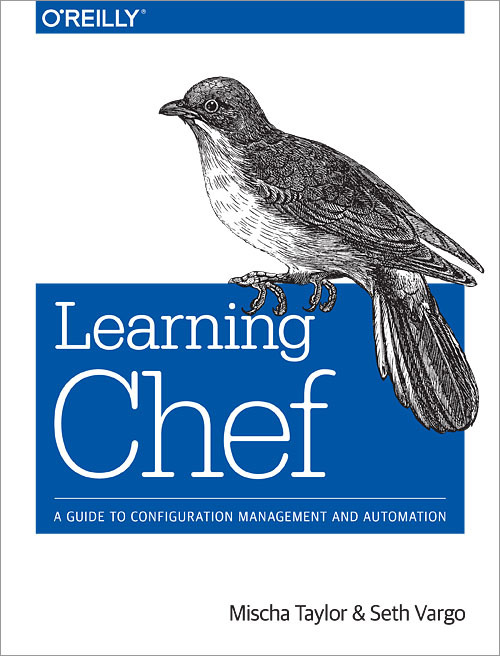 Learn how to write Chef automation code. Tailor Chef to your infrastructure: Every production environment is different, we’ll help you design a setup that meets your needs.